Darryl M. Chatman was appointed to the University of Missouri Board of Curators in 2017 by Governor Eric Greitens. 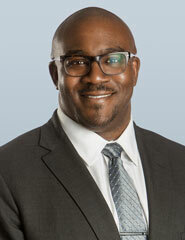 Chatman is the Senior Vice President of Governance and Compliance at the United Soybean Board. He served previously as General Counsel for the Missouri Department of Agriculture and an attorney with Armstrong Teasdale, LLP in St. Louis. He served as the leader of the firm’s agriculture and biotech practice group, working on legal disputes involving animal health, life sciences and agricultural issues as well as regulatory compliance, commercial litigation and employment litigation. From January 2015 until January 2016, Chatman served as the deputy director for the Missouri Department of Agriculture. Chatman previously served on the St. Louis Science Center Board of Trustees, the St. Louis Agribusiness Club Board of Directors and has served on search committees for the University of Missouri, including Athletic Director and Dean searches in 2016. Chatman holds multiple degrees from the University of Missouri-Columbia including a bachelor’s degree in animal science in 1997, a master’s degree in animal science in 2001, a master’s degree in agricultural economics in 2007 and a juris doctorate in 2008. He played football at MU from 1992 to 1996. Chatman also earned a master’s degree in public administration from North Carolina State University in 2003.